Tried a box of these today for the first time - strength 3. I was really impressed with the responsiveness of these reeds and the clear, strong tonality I am able to produce. 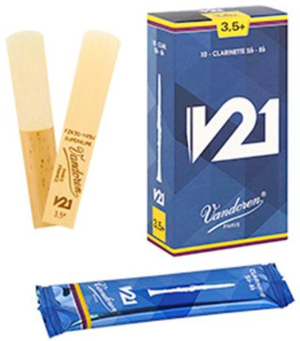 A cut above the standard Vandoren reed I normally use for performance. I want to try the V21 for Alto and Sop Sax now! Bought it weeks ago. It is fantastic! You need to buy thicke ..